This is the interesting small gadget to Let your Universal Mobile Phone (using micro simcard) Get Two Sim Cards Installed for your Free Choice Conveniently and Easily(Choose one number online from both simcards) ! 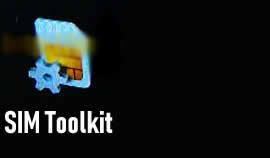 You don't need to power off to change sim card. 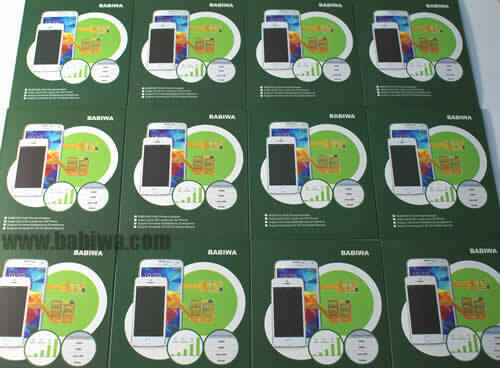 Newest Genuine BABIWA© Q series Dual Sim Card Adapter for Universal or worldwide Mobile phones using micro simcard. Supporting Universal 2G 3G 3.5G 4G GSM GPRS EDGE WCDMA UMTS HSDPA HSPA FDD-LTE network . 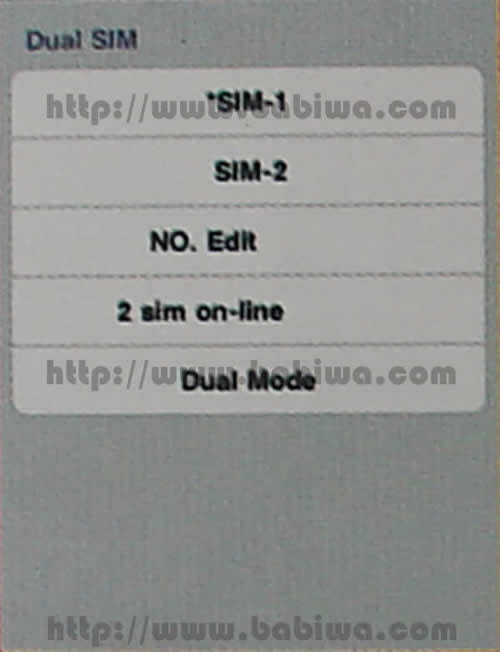 (1)This Dual Simcard Adapter Support the mobile phone using smaller Micro Simcard only. 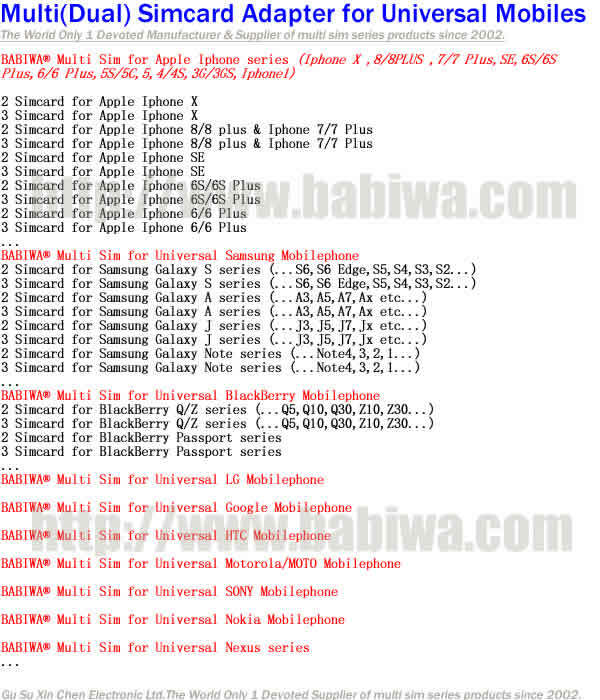 and it doesn't support the phone using Regular simcard or Nano Simcard(as used in iphone 5). 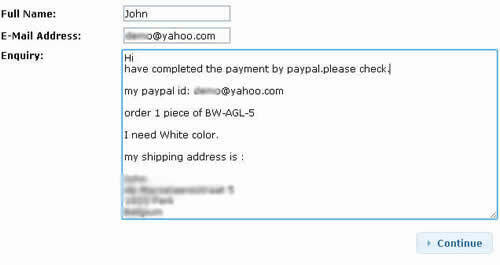 if you order for phone using Regular simcard ,please choose Regular simcard version(non-cutting or cutting type). if you order for phones using nano-simcard as Apple iphone 5/5C/5S etc, please click here to choose our Special Apple Iphone Nano Sim Adapter Series. 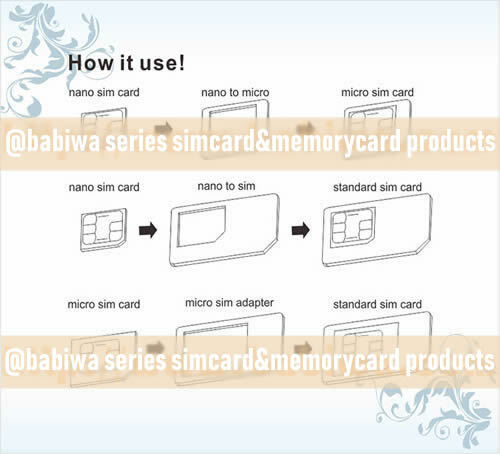 (3) This Listing product is Non-Cutting Type Micro Simcard Adapter,You don't need to cut both simcards . This Micro Sim dual sim card adapter supports Any Universal mobile phone with Micro Simcards Slot(e.g. 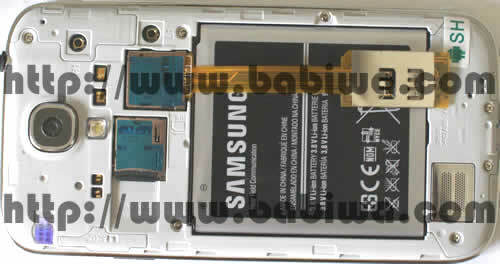 samsung galaxy S3 S4 NOTE 2...) or Micro Simcard Tray(e.g. Apple iphone 4/4s,HTC one m7 x...),But it's important that you have to make sure the micro simcard-inserting direction should be as the Pic Below. 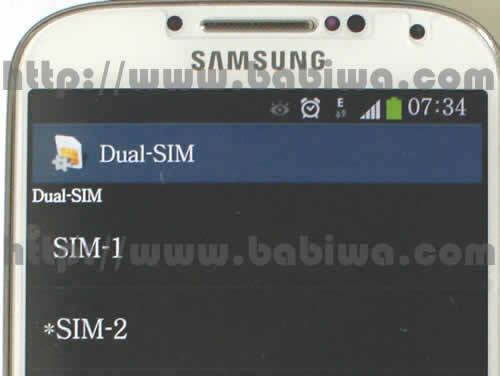 if your mobile phone's micro simcard installing direction as the pic below,then you are not able to use this dual sim adapter. 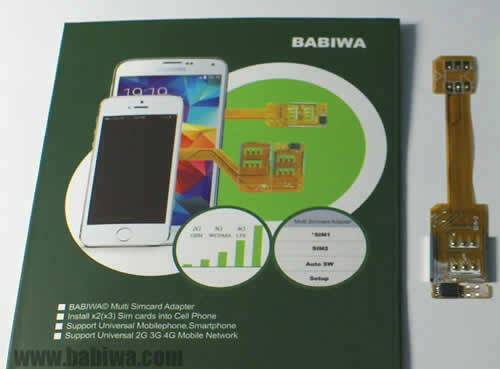 Please Notice this is the Genuine BABIWA© Q series Dual Adapter Product released from Patient Owner,Not the Common Fake products easily found in the market.The dual twin sim card is under patent Law protection from both China Mainland and Taiwan area. Updated Newest Version Released ! (2) Supporting Universal 2G 3G 3.5G 4G GSM GPRS EDGE WCDMA UMTS HSDPA HSPA FDD-LTE network . Doesn't Support CDMA network and Chinese Domestic FDD-LTE network. 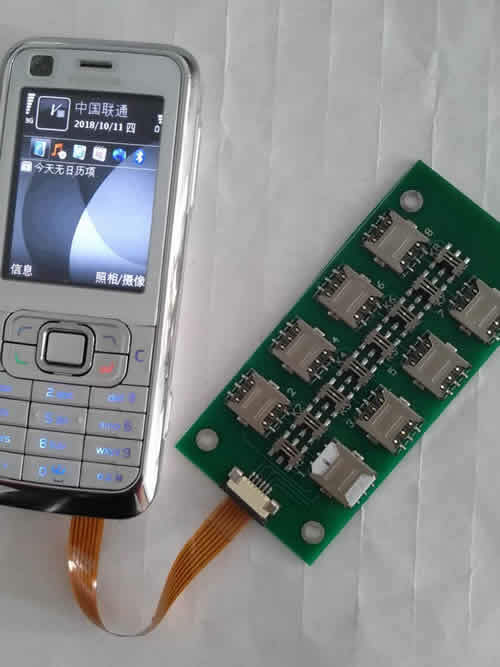 (3) Dual Simcard Adapter Supports the mobile phone using Micro Simcard only. if you order for phone using nano-simcard as apple iphone 5/5c/5s etc, please click here to choose our Special Apple Iphone Nano Sim Adapter Series. 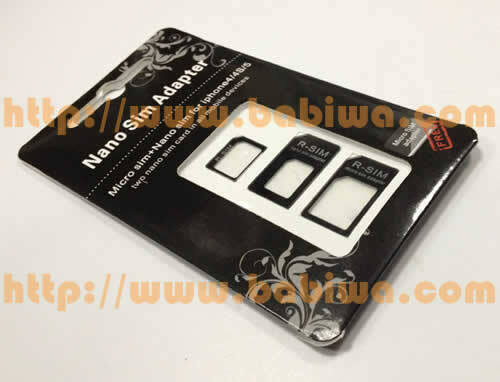 if you order for Apple Iphone 5 using nano-simcard, please click here to choose our Special Apple Iphone Nano Sim Adapter Series. 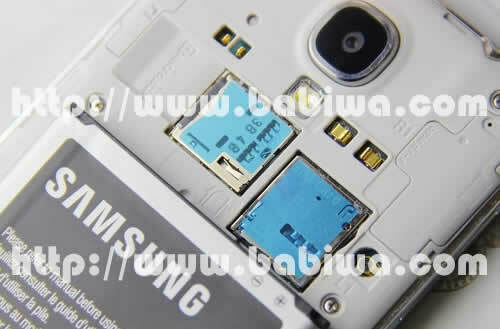 (1) Installing on the mobile phone with Micro Simcard Slot . 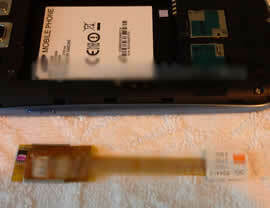 (2) Installing on the mobile phone with Micro Simcard Tray. Step 1:power off your phone to install this adapter. Step 2:Place the adapter's sim1 end into the micro simcard tray,make sure the sim1 end's bevel angle is at the same direction. Step 4: you need to fold the adapter's cable and make it extended from your phone's simtray. Step 6: Power on your phone,you will find A very simple menu under the Sim Application Toolkit(STK Menu), Then you can use it to choose any one number easily from the menu at any time.